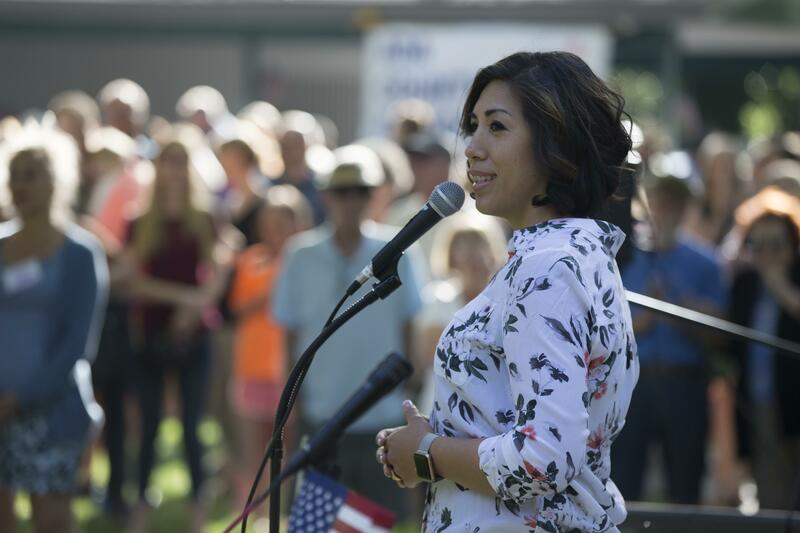 Fri., Sept. 14, 2018, 4:19 p.m.
BOISE – Two of the top staffers for Idaho Democratic gubernatorial candidate Paulette Jordan have resigned with less than two months left before the Nov. 6 election. The Idaho Statesman reported campaign manager Michael Rosenow and communications director Lisa Newcomb have both resigned. Rosenow told the Boise newspaper on Friday that he signed a nondisclosure agreement and so can’t discuss why he left the campaign. Jordan’s cellphone voicemail was full and she did not immediately respond to a text message. Jordan is running against Republican candidate Lt. Gov. Brad Little. Published: Sept. 14, 2018, 4:19 p.m.